While I would love to take credit for these photos, they were actually taken by our neighbors. We live on one corner and they live on one of the other corners. A couple of years ago, my garden was featured at a Master Gardener meeting. Our neighbors, Travis and David, take remarkable photos so I asked if they would please stop by and see what they could do. I can preach all day about mindfully caring for our pollinators, but will give you only one sentence today. If you are using any insecticides, STOP IT RIGHT NOW!! OK, off my soap box and back to the beauty of the bumblebee. There is one fun party at Holli's Hoots and Hollers called Tuesday Tunes!! Choose a song or two and link up! Visiting from the Blog Train. That is a great photo! I put lavender in a pot on my deck and I always have bumble bees on it! I love watching them. And NO to insecticides! 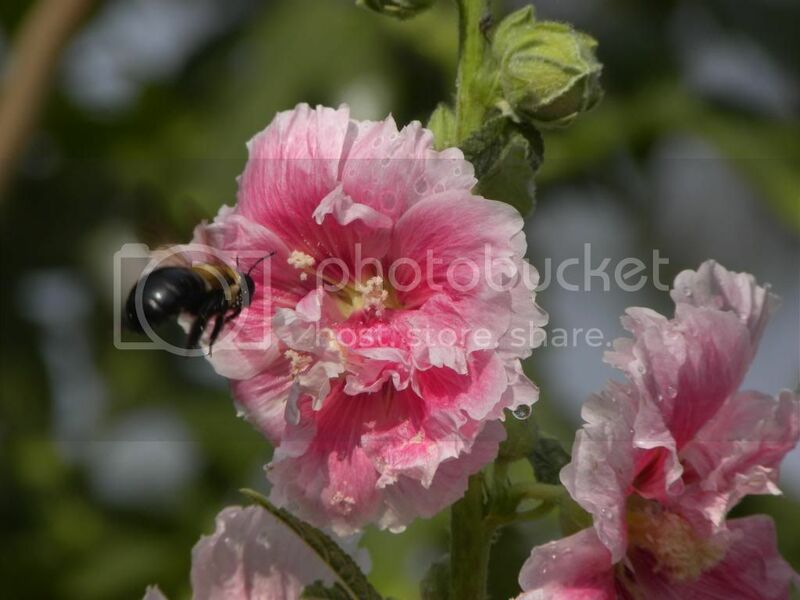 That is a super cool picture of the bumble bee going towards the flower. I plant a lot of flowers for the bumblebees every year....they are so very important! Thanks again for linking up with Green Thumb Thursday. I hope to see you again this week! 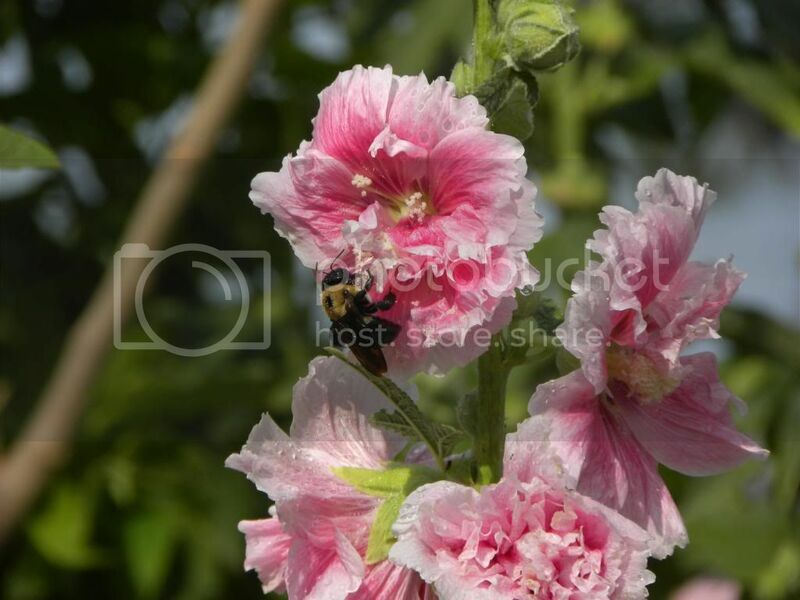 Hello, beautiful shots of the Hollyhocks. Great capture of the bumblebee. I am sure the bee is happy. Thank you for linking up and sharing your post. Happy Saturday, enjoy your weekend.